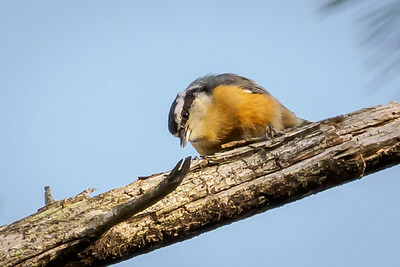 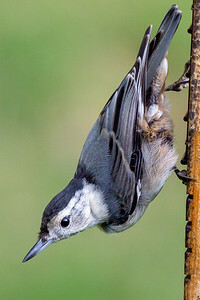 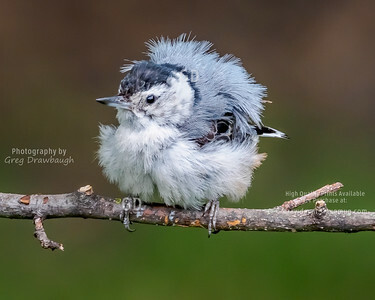 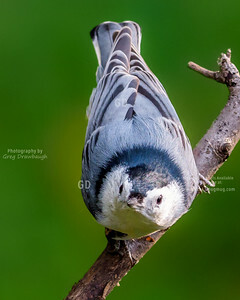 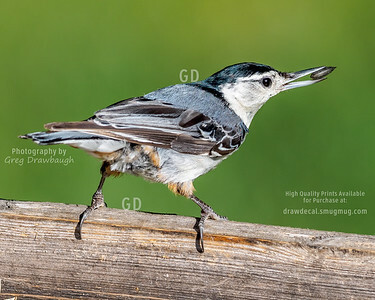 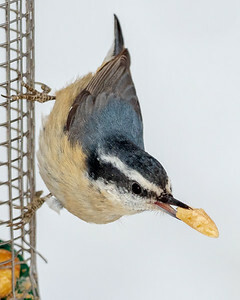 Caught in the act, this White-breasted Nuthatch takes a single sunflower seed then flys off to wedge it into a tree so he can crack it open. 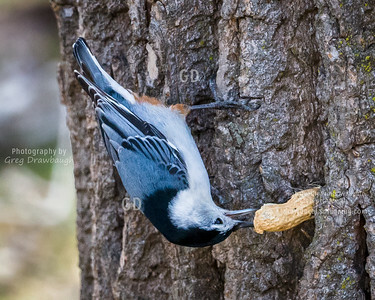 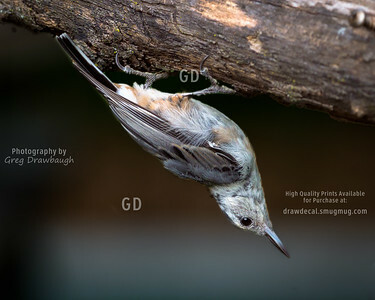 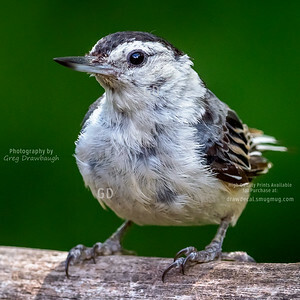 A White-breasted Nutchatch has a peanut wedged in our Cottonwood tree's bark and is proceeding to pound it open. 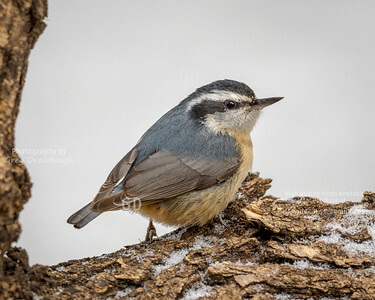 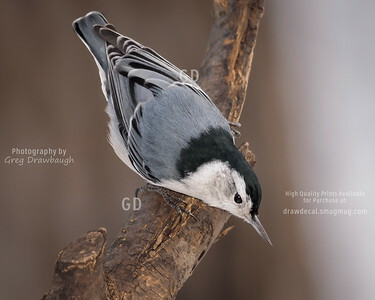 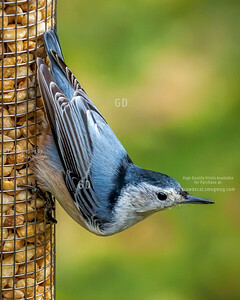 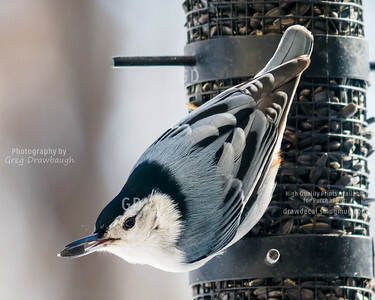 A White-breasted Nuthatch enjoy a snack on the very cold March afternoon. 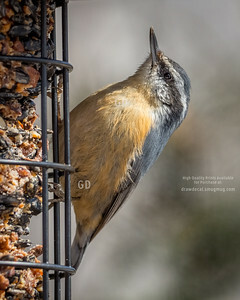 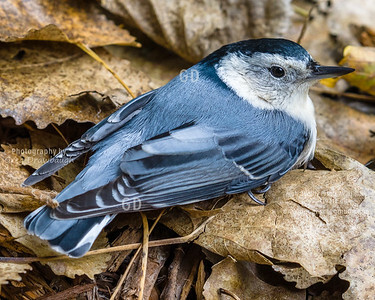 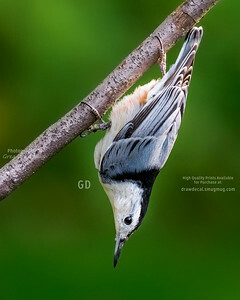 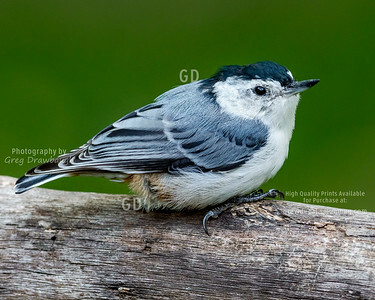 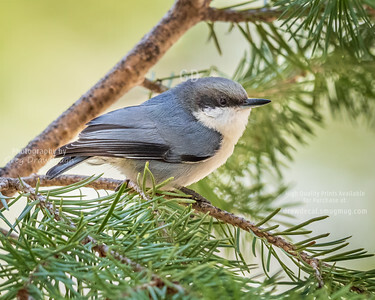 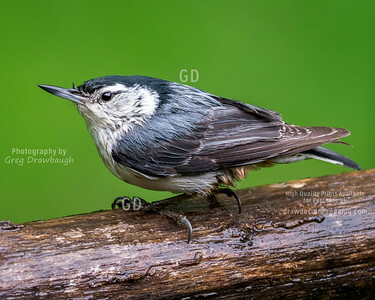 This Nuthatch had an unfortunate collision with my office window allowing me to get this very close up photo. 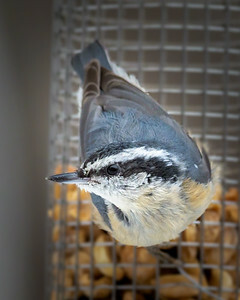 No worries, as he recovered from the shock and then fly away, good as new and back at our feeder.